Always buy Tickets from Railway Booking/Reservation Counters or authorised Travel Agents. With the facility of making reservation 120 days in advance, plan your journey and purchase the tickets well in advance. Always tender exact cash after checking fare indicators and repeaters. Particulars of the tickets should be thoroughly checked before leaving the window. Only one requisition form will be accepted per person. The columns of the forms should be completed in all respect. Mobile number of passenger should be given to avail facility of updates of ticket status. Tatkal requisition forms are Red in color and are entertained on priority only..
Purchase of Tickets from touts and unauthorised travel agencies is illegal, such tickets can turn out to be fake or invalid. It can also entail consequences like being detrained, penalties and prosecution. Do not pay more than the exact fare or stipulated charges. E-tickets should be booked through IRCTCs authorized travel agents only. Insist on showing authorization before booking ticket from travel agent. Do carry printed ERS (Electronic Reservation Slip) or message received on mobile from IRCTC during travel. Particulars of the tickets should be thoroughly checked before purchasing the ticket. Do ask for refund of fare from the agent in case of waitlisted E-tickets after chart preparation. Please carry proper ID while travelling. Use of Personal Ids for selling of reserved tickets is an offence under Section 143 of the Railways Act. Passengers holding waitlisted E-tickets on-board are treated without ticket and are liable to be charged with penalty and excess fare. Always buy eatables from authorized vendors only. Insist on a receipt for meals, catering items etc. Do maintain cleanliness at the platforms and train. Don’t pay more than the stipulated porterage charges. Always travel with proper ticket. Irregular passengers in reserved coaches are liable to be charged with penalty and excess fare. Always carry original ID proof while travelling in reserved coaches. In case of Tatkal tickets, the ID mentioned on the ticket should be carried in original. Insist on a receipt or a voucher wherever due, like for meals, penalties, etc. Do ask for the menu card from the catering staff and pay the exact charges. Do call the Train Superintendent/Conductor for any help on-board. Wait listed passengers are not be allowed in reserved coaches. Don’t show your ticket to any unknown persons. Don’t accept eatable from strangers. Travelling under another person’s name is an offence under Section 142 of the Railways Act which pertains to travel on transferred tickets. Passengers who purchase transferred tickets are likely to be detrained, fined and even prosecuted. 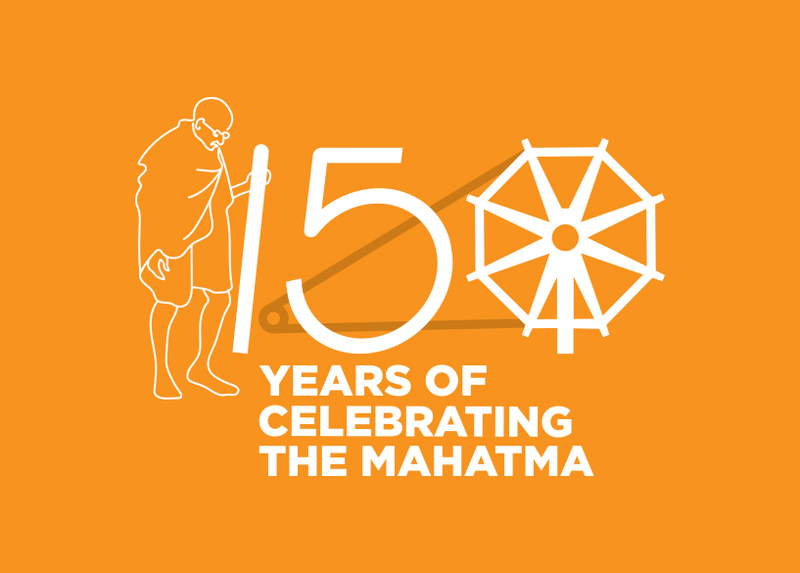 The penalty for transfer of tickets will be a fine of Rs.500/- or imprisonment up to 3 months or both. Such tickets purchased by the passengers will be forfeited and they will be treated as travelling without ticket. Hence, passengers are advised not to purchase tickets which are sold by touts or unauthorised travel agents. Don’t pay for meal in Rajdhani/Shatabi/Durronto Express as the fare are inclusive of meal charges. Don’t pay for bedroll in AC coaches of all trains (except Garibrath) as the fare is inclusive of bedroll charges. Don’t tip the catering staff. While booking consignment appropriate forwarding note should be filled. Always declare weight excess to the free allowance and obtain luggage receipt. The weight excess to the permissible limit and bulky articles should be loaded in brake-van. In case of valuables the value of the consignments should be declared. In case of fragile consignments caution/pictorial labels should be pasted. Complete name and postal addresses of consignor/consignee should be written on the consignment. Beware of touts. Always approach the Railway personnel for booking and delivery of parcels/luggage. Do not carry inflammables and banned items. Inform the Railway authorities regarding any unauthorised persons on Railway premises/coaches. Any instance of malpractice or corruption in any sphere of Railway working should be reported at Vigilance helpline No. 155210, 9717638892 & 9868175631. Written complaints can also be made to SDGM, Northern Railway, Baroda House, New Delhi. 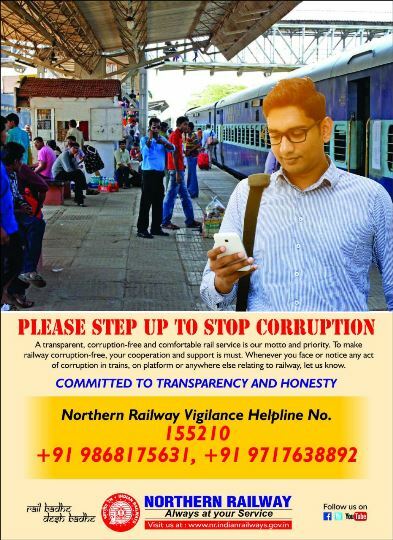 In addition to the intensive drive against Touts, UTAs and in Mass Contact Areas, Northern Railway Vigilance undertook extensive public awareness drives through advertisements in print and news items in electronic media. People were cautioned against going to touts, UTAs and travelling on TOT, through advertisements in National as well as in local dailies.